Are the Best Cordless Hair Clipper the Oster Octane? I try to not be behind the times too much, but once in a while, I realize I need to update my gear. It took me a while to get on the cordless hair clipper train as I had felt that they were inferior to the corded hair clippers in both power and reliability. I was right for a while, but boy, did I become wrong fast! It turns out that while I was poo-pooing wireless hair trimmers, manufacturers like Oster clippers were making cordless clippers like the Oster Octane. In that time there were advances with rechargeable batteries and now the professional cordless clippers are on the same level as the corded ones in many ways. Oster cordless clippers took a while to catch up with the rest of the brands so I was behind the times since I mainly use Oster products. I borrowed my colleague’s Oster Octane and, frankly, I was blown away by how powerful it was. It was every bit as good as my trusty Oster Classic 76. So, let’s dive deep into this Oster Octane review and see how it measures up. You get one battery with the Octane. You’ll notice that the charging base has two slots, though. One is for the actual clipper and the other is for a separate battery. This is so that you can have a battery charging while you use the Octane so if it runs out of juice, you can simply plug the charged battery into the wireless hair clippers. Trust me, as a barber doing about 30 haircuts a day, you probably won’t be needing the backup battery. This battery lasts about 2 hours in between charges. And that is only if you don’t rest the clippers in the charging base between haircuts. When you finish a haircut, just put it in the dock and let it top up a bit before you use it again and it will last the entire day. The only time I anticipate you needing to use a backup battery is if your state requires you to keep your clippers in a draw with fumigant when not in use. This is one of the downsides of the clipper. I prefer having a charging cord rather than a dock. If it had a cord, you could still keep it in the drawer while it charged. With the dock, if it is in the drawer the battery will die out on you. If you do find yourself with a dead cordless hair trimmer on your hands, then recharging only takes an hour to bring it back up to full charge. The biggest reason I love to use Oster clippers is the powerful piston motor that spins rather than the electromagnetic clippers like Andis and Wahl. The Oster Octane uses the same motor as the Oster Classic 76 which makes it very powerful, and whisper quiet. With a rotating piston, there is no clacking sound. Rather a gentle hum is really all you hear until the cordless hair clipper needs to be serviced. The motor doesn’t get hot like with the other brands, either. This is because there is a lot less friction when it runs. A piston just rotates within the chamber. As long as the wireless hair clipper is properly lubed, it will run smoothly, quietly and powerfully. If you have ever cut hair that is wet then you know how important power is when it comes to buzzing through it. Oster clippers like the Octane feature a lot of torque. This is the real power of the rotary motor as it will cut through anything without the blade slowing down. When shopping around for a clipper you will see boasts of high SPM or strokes per minute. That is a nice metric to measure by, but it’s the torque that really tells the story about how powerful a clipper is and how easily it will bulk cut hair. And not just wet hair, either. Thick, wiry hair is cut down in one pass. By not needing to go over the same spot a few times, you can get through the haircut a lot faster. And that means more money in your pocket. A few minutes here and there can add up to two or more haircuts a day just from using powerful clippers like the Oster cordless clippers. They end up paying for themselves. What a treat to be able to use professional cordless hair clippers with the same detachable carbon steel Oster clipper blades! These blades are super strong and can cut through even the most stubborn hair. When you buy the Oster cordless clippers they come with a size #000 and a size #1 blade. Though you can buy any blade separately from the #000000 which is right down to the skin, perfect for skin fades up to the 3.75 which will leave the hair roughly a half inch in length. While the Oster cordless clippers are running, you can detach and snap on a new blade in a second for an almost motionless move to keep on cutting. Though, I will say that adjustable blades are attractive for giving you one handed operation for quick adjustments on the fly. Again, more speed equals more money in your pocket. But, at least being able to swap blades while the clipper is running does keep your speed up and you don’t waste time having to turn it on and off each time. 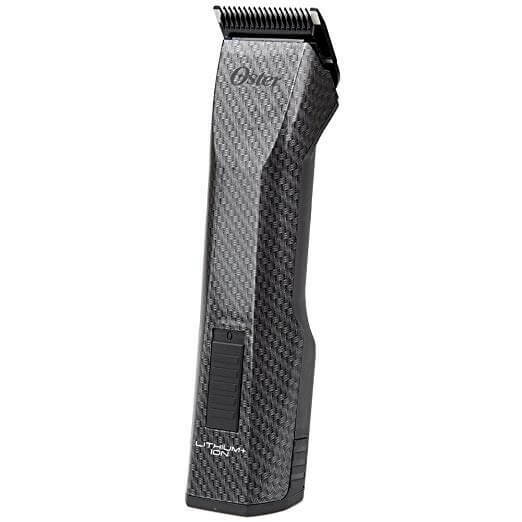 The high carbon content in the Oster clipper blades will keep them sharp after many, many haircuts. You may see some clipper blade sharpening services advertised around, but, honestly you are not likely to need to ever get them sharpened. As long as you do a deep clean occasionally with some blade wash, then they will stay very sharp. Erroneously, I really thought these would be heavier than my Oster Classic 76. As I said, I was assuming things to be true about cordless hair trimmers, when they had actually changed. Batteries for wireless hair clippers used to really weigh them down. Well, now the batteries are way more lightweight and far more powerful than ever. So, the Oster Octane wireless hair clippers are actually much lighter than my Oster Classic 76. The 76 is about 2 pounds, where the Oster Octane is less than a pound. That’s a sizable difference in weight that at the end of the day you can really feel. The one thing I am not crazy about in regards to the Oster 76 is I sometimes get hand fatigue by the end of the day. Though after 30 cuts in a day, even the lighter Oster Octane can lead to a bit, it is far less than any other clipper I have used. It is also is more ergonomic than the 76er mainly due to the fact that it doesn’t have the hard ridges that I have never understood. The Oster Octane, rather has a nice, smooth carbon fiber coating that feels good in the hand. The shape is better than the Oster Classic 76, too, but I am still not a huge fan of the shape. I think the Andis Supra has a better feel in the hand, but I like the cutting ability of the Octane better. I am also not crazy about how slick the carbon fiber is. I would have preferred a more non slip grip to it, but I never had it slip out of my hands. This is such a minor quip that I almost didn’t even bother to mention it. Yes, the price tag is rather steep. Because of that, it’s hard to recommend these professional cordless hair clippers to an at home do it yourselfer. I mean, if you do cut your own hair and have almost $300 to burn and want the best wireless hair clippers, then go right ahead. It will last you a lifetime afterall. But, for most people that cut their own hair, that is a bit of overkill. I do recommend Oster clippers even for at home hair cuts, so check out my review of the best Oster clippers with some that I recommend for DIYers. 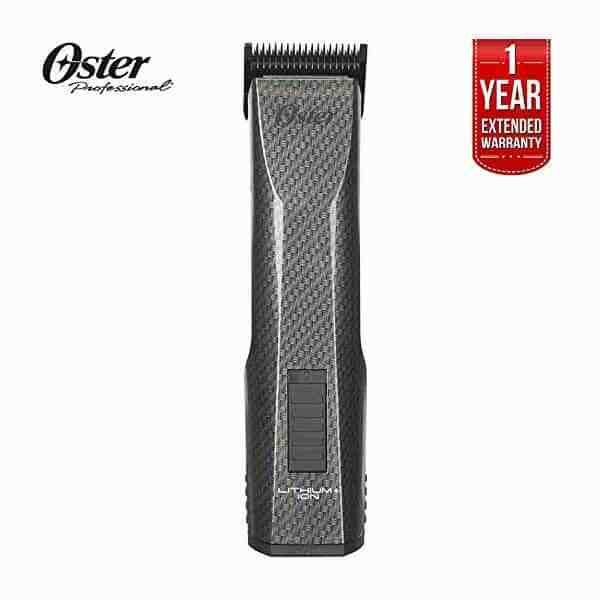 For barbers and stylists that need the best cordless hair clipper, then I highly recommend the Oster Octane clippers and think they are absolutely worth it. I have come around and think that a cordless hair trimmer is a must have item in any professional barbershop or salon. There is no loss of power. And you can charge a backup battery so you are never left without your primary clipper due to a dead battery. Those were the two biggest drawbacks to having a cordless. Since they are no longer issues, I can’t think of a single reason why you wouldn’t want to use a cordless like the Octane as your primary clipper. With the rotary motor and high RPM, the Octane will give you what you need to tackle all kinds of haircuts. Having the same blades as the Oster 76 and Titan gives you versatility so if you want to switch between clippers you don’t need a whole new set of Oster clipper blades. The fact that it already comes with two blades that you will frequently use is a nice bonus to get you on your way. Though, if you are just starting out and don’t already have other blades, get ready to shell out some serious cash as buying all the necessary Oster blades is a fairly expensive affair. Oster clippers are the workhorses of the haircutting biz. They are reliable, efficient and long lasting. I have used other clipper brands. Some I liked, some I didn’t like and some I still use now, like the Wahl 5 Star Senior. But, I can’t imagine using anything other than an Oster clipper as my main clippers with the others serving as backup. Q: Can you use the Oster Octane to cut dog hair? A: I am not a dog groomer so it is hard to say for sure. I suppose it would depend on the type of dog hair and how matted it is. But, I don’t see why you couldn’t use these to trim a dog. They definitely seem like they could handle the job. The fact that they are cordless makes it very attractive for grooming a dog. Since dogs are even worse than kids when it comes to giving them a haircut, you can move along with them as you need to. If you’re thinking of a long haired dog, then I only think that you won’t get a clipper guard that leaves the fur long enough. On short haired dogs you’ll probably do fine, though. Q: Does the Oster Octane get loud? A: They only get loud if you don’t lubricate them. It’s important to deep clean your clipper blades to make sure they are also running smoothly and keeping them lubricated. Every once in awhile, you need to open up the clippers and add some clipper grease to keep the parts well greased so it doesn’t end up getting loud. If somebody tells you that their Osters are too loud, that is the reason why. Q: Can I use Andis ceramic clipper blades on it? A: Yes. In fact the Andis ceramic and the detachable stainless steel ones can be used by the Andis Supra and the Octane, as well as the Oster 76 and the Titan. They are all interchangeable. They all roughly cost the same, though so there would be no difference in price. If you already have Andis blades, then making the transition to Oster becomes much easier on the wallet. In fact, I generally go for Andis blades since Oster doesn’t make ceramic. Or, if they do they are very hard to find. I’ve never seen them anyway. Q: Is it ok to leave it on the charging base overnight? A: Lithium Ion batteries cannot be overcharged, so leaving it on the charging dock won’t end up damaging your battery or leading to it losing its charge faster. Got any questions about the Oster Octane or other cordless hair clippers in general? Leave a note in the comment section below and we will be sure to help you out! Andis Master vs Wahl Senior: Which is better?